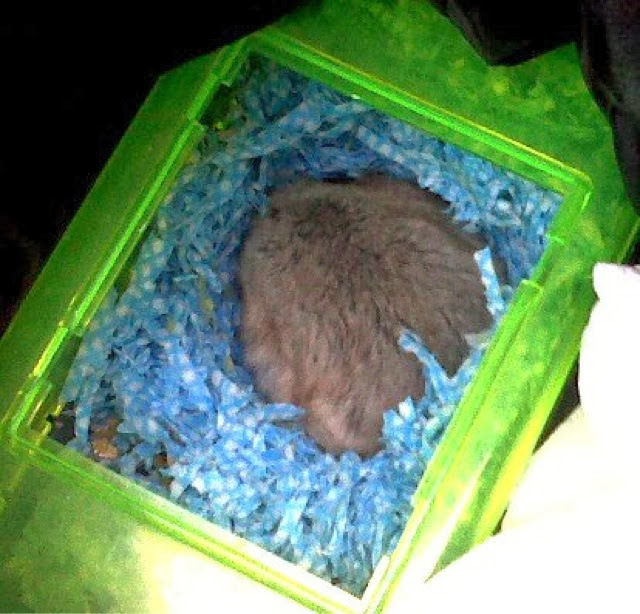 Furball of Death! In Theaters December 20th. 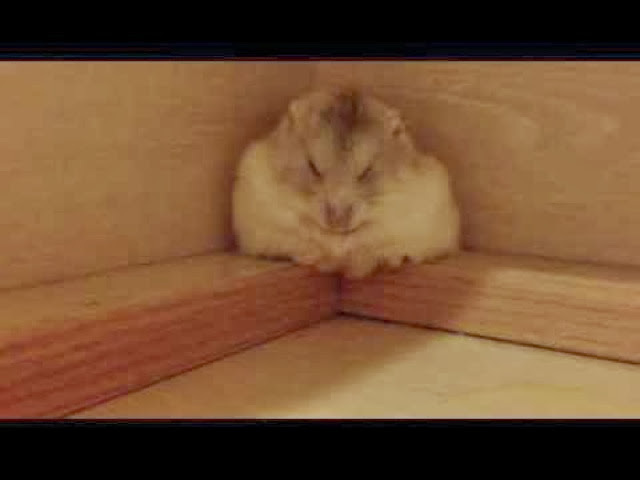 The hamster must be exhausted of getting in trouble! That darn light glare thingy! But...curse you light glare thingy! Anyone one else find this creepy? 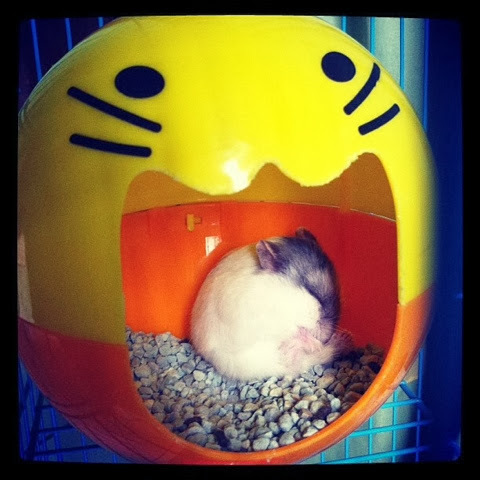 The yellow cat thingy this hamster is sleeping is mentally disturbing! Seriously. 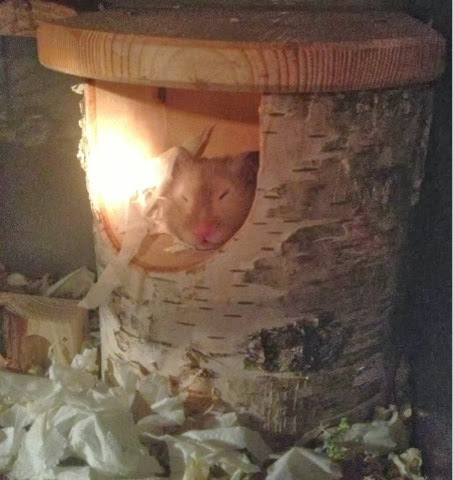 and was not even manufactured to be a hamster house. But it was all I could find to have for today's pic, so whatevs. Sooo past the teen years anyways to say "whatevs". Why don't you guys comment and tell me if it's cute or not? But this is a quite random website indeed. Let me justh smusth my faceth all over this glassth so you can thsake an awethsome pickture, ookay? Or what about the Leaning Tower of Hamza? Love cute? 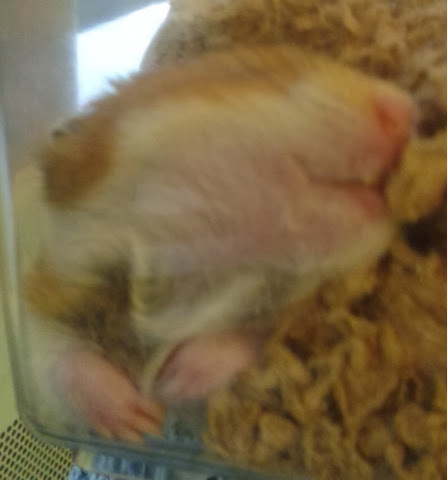 Read Sleeping Hamsterzzz - It's filled with lots of it! 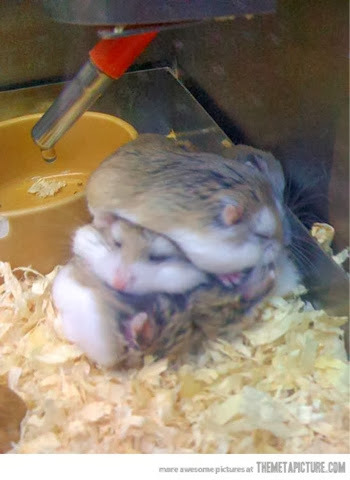 Hamsters: Hamsterific! 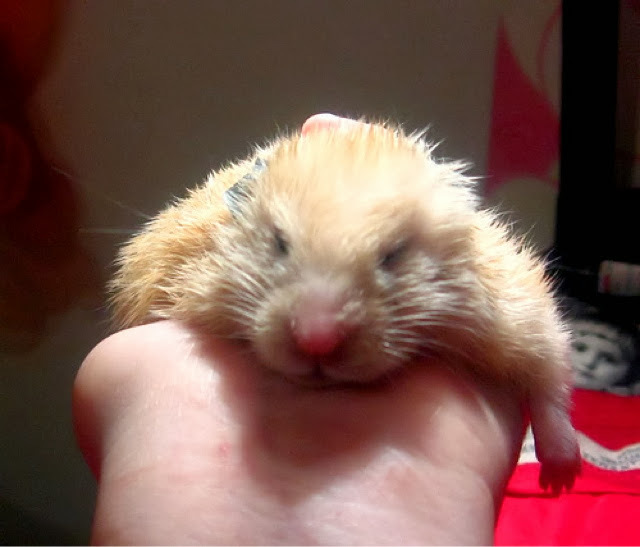 About hamsters for hamster lovers! Hamwiches are sooooooo yummy. Get it? Or what about the Leaning Tower of Hamza? That's cute, right? No..... I'm not funny. I own multiple animals, including two rabbits, a guinea pig, a dog, six chickens, and a lot of fish! I am very passionate about all animals, but small pets are my favorite! (why else do you think I created this blog?) I think my future will have a lot to do with graphic design and drawing, as it is one of my favorite hobbies, and I love-love-love other people's artwork and animation, too. Iggy is my inspiration for drawing.